Learn more about your new home away from home. Where do Participate teachers live and work? 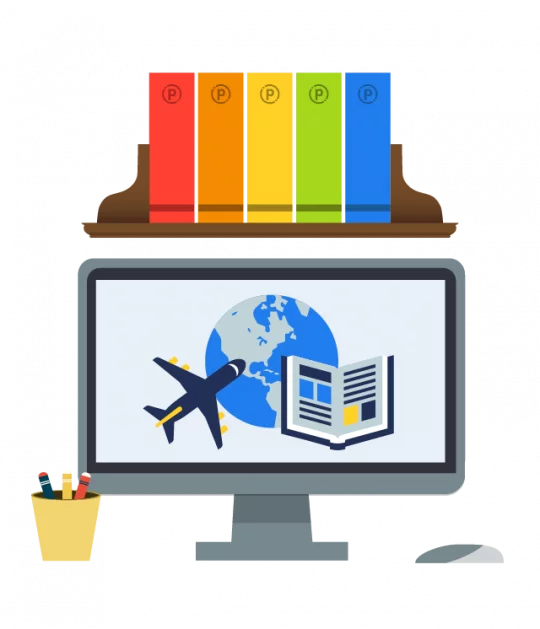 Participate Learning has agreements with schools in North Carolina, South Carolina, and Virginia. Find out more about each state below. North Carolina stretches 500 miles wide. The state is home to the Blue Ridge Mountains in the west and more than 300 miles of barrier island beaches in the east. Many people enjoy hiking or other outdoor activities. If you enjoy gastronomy, North Carolina is famous for its barbecue. 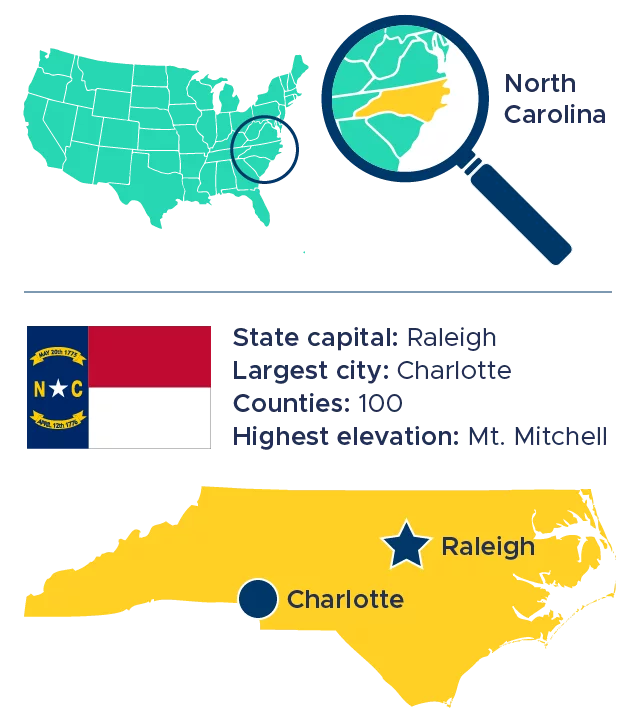 Raleigh, the state capital, is home to Research Triangle Park (RTP). RTP is the largest research area in the country. It hosts many technology and research companies. There are also large universities nearby, including the University of North Carolina and Duke University. Charlotte is the state’s largest city. It is the second largest financial center in the USA and is home to several major sports teams. More than 10% of North Carolina residents speak a language other than English as their primary language. South Carolina is best known for its beaches. 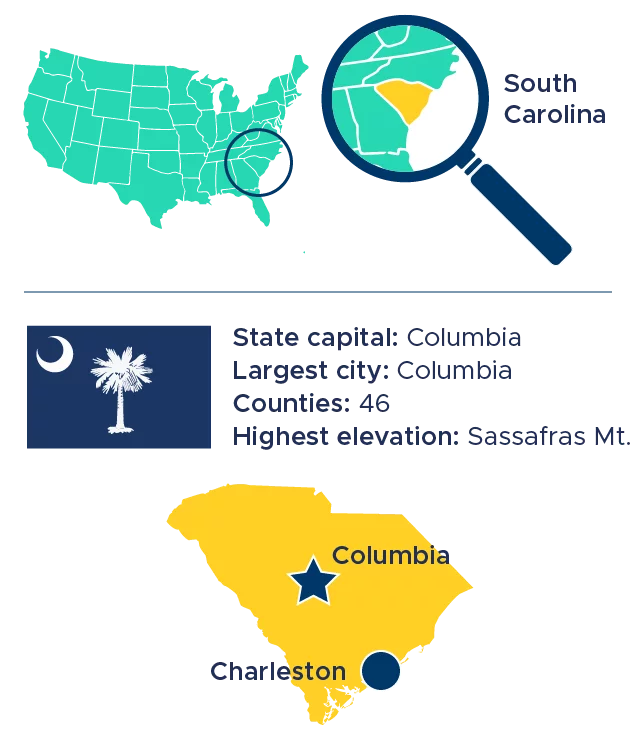 The state capital and largest city, Columbia, hosts many special events and festivals. Fishing is popular at nearby Lake Murray. Visit the small coastal town of Charleston for colonial charm and delicious food. Charleston is also home to the South Carolina Aquarium and a Sea Turtle Rescue program. History buffs can explore Fort Sumter, the birthplace of the American Civil War. As one of the original 13 colonies, Virginia is home to many historic landmarks. Two of the most popular are Mount Vernon, the location of George Washington’s first house, and Colonial Williamsburg. 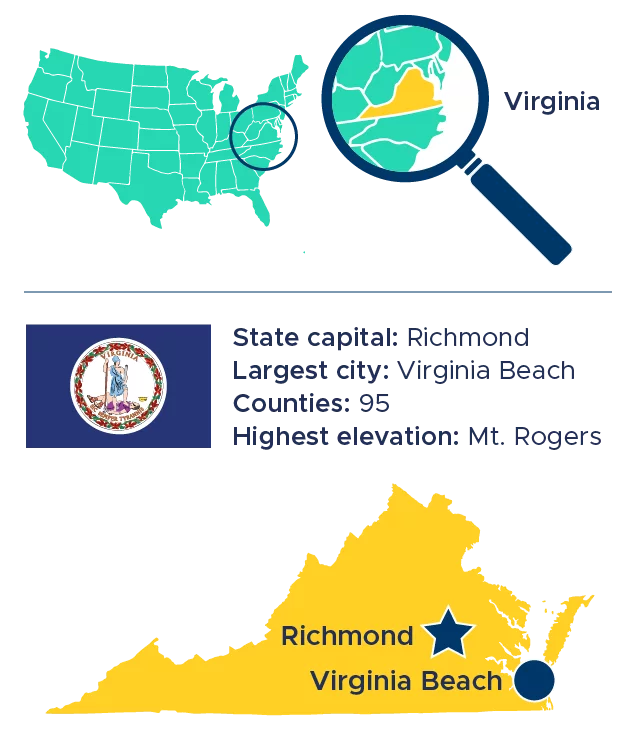 Richmond is the state’s capital and one of the country’s oldest cities. Outdoors enthusiasts can visit the Shenandoah Valley and part of the Blue Ridge and Allegheny mountain ranges. Virginia’s diversity is growing. One in every ten residents is born outside of the US, with the majority hailing from Asia or Latin America.